Unless you have purchased the music from iTunes store, iTunes won’t let you transfer them between your iPhone and PC. Fortunately, there are a number of ways to do this. This article will tell you how to get music on iPhone and how to transfer them between iPhone and PC. With the help of online YouTube video downloading websites, you can get free music on iPhone from YouTube. Step 1: Visit YouTube on your computer’s web browser and find the song you wish to download. Step 2: Once you open the streaming page of your desired song, copy the page address from your web browser. Step 4: After pasting your address, you will be asked to select the output format. Choose MP3 and then download the converted file in the next page. Step 5: Transfer your downloaded music file(s) to your iPhone via any third-party file transfer tool. Apple Music is a music streaming service from Apple. It is similar to Spotify and allows you to browse and stream unlimited amount of music by using your monthly subscription. Furthermore, you can also download music in your Apple Music collection because it is mainly stored in iCloud. Step 1: First, make sure your iPhone is connected to a working Wi-Fi connection. Step 2: Navigate to Music option from Settings app in your iPhone. Step 3: Turn on iCloud Music Library and Show Apple Music options. The songs in your Apple Music collection will be downloaded on your iPhone. 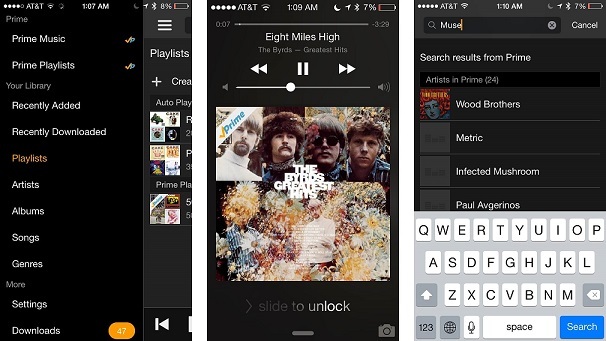 Step 1: First, install the official Amazon Music app on your iPhone by visiting the App Store. Step 2: Then launch the app and sign into your Amazon Prime or Amazon Music account (the one that contains your music collection). Step 3: You can sort your Amazon music library by song, album, artist, etc. to find your desired music quickly. Step 4: You can either download a song individually by selecting it or download the entire album via the download option in the app. iMyFone TunesMate is a third-party tool that you can install on your Mac or Windows PC and use it to get music from iPhone to computer. 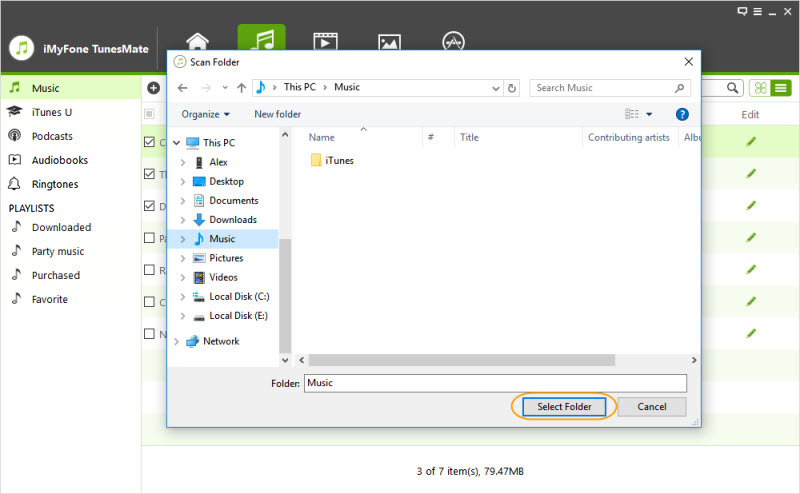 One of the major benefits of using this software is that you won’t need to worry about whether your music is purchased or non-purchased and easily transfer it to your computer. The software offers tons of other features as well and is highly spoken by a lot of online media, such as Getintopc, Geekreply, etc. Transfer purchased as well as non-purchased files (including music) between your iPhone and computer. Directly extract media files from iDevice to iTunes, external hard drive, MP3 player, etc. Rebuild, restore, share your iTunes library conveniently with 1-Click solutions. All media file types are supported including music, videos, movies, playlists, photos, podcasts, etc. Two-way transfers; transfer from iDevice to iTunes/Mac/Windows PC and vice versa. Step 2: Connect your iPhone to your PC via compatible USB cable. 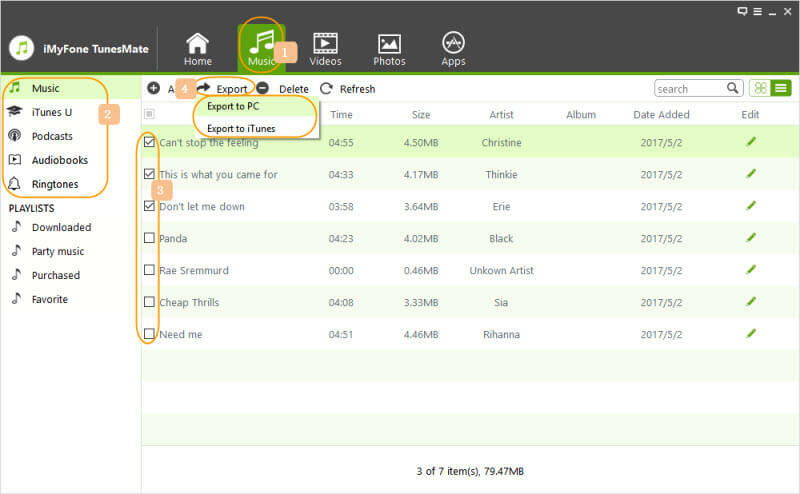 Step 3: Click on Music tab on the software, browse and select the songs you wish to transfer, and then choose Export>Export to PC option. Step 4: Now select the destination folder on your computer for the exported files. Your selected songs will be transferred to your computer. Step 2: Connect your iPhone to your PC. Step 3: Now click on Devices option available on iTunes and then choose your connected iPhone. Step 4: Select the Transfer Purchases from iPhone option to start the transfer/syncing process. Your purchased music, apps, and other data will be transferred to your computer. You can then delete the unwanted music from your iPhone. Note: Alternatively, you can use iMyFone TunesMate as well to get the job done.